Pay homage to the Lord of Winterfell while you elevate your style! 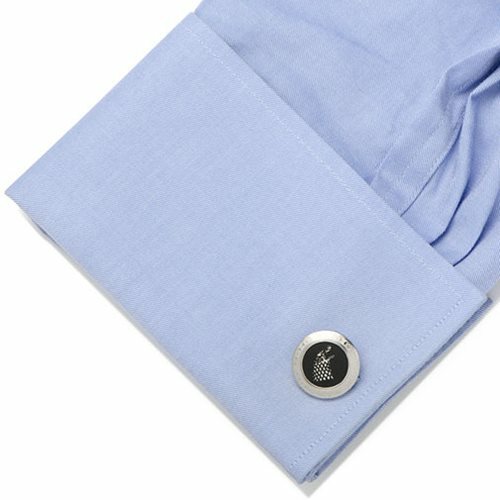 Stainless steel cufflinks featuring the direwolf sigil of House Stark. Also boasts an etched Game of Thrones logo. 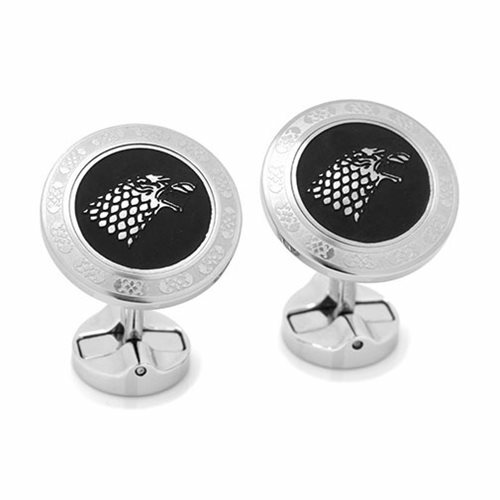 Pay homage to the Lord of Winterfell while elevating your style with these stainless steel cufflinks featuring the direwolf sigil of House Stark raised over a matte black enamel background. The backing features an etched Game of Thrones logo. 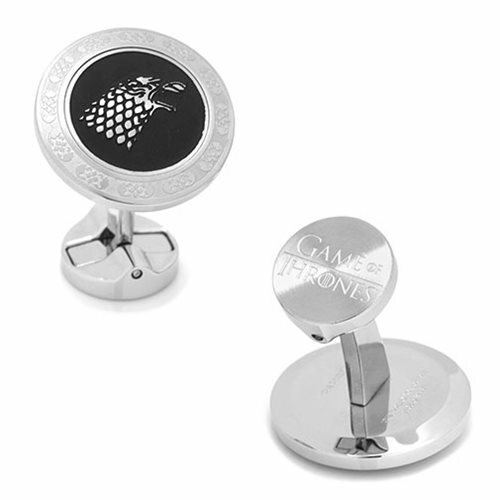 The Game of Thrones Stark Filigree Stainless Steel Cufflinks make a great gift for fans! They measure about 3/4-inch in diameter.